Bill Horner, Devon County Archaeologist. Bill will discuss the findings from a number of archaeological projects which are revealing evidence for prehistoric funerary practice, settlement and industrial activity in the late prehistoric and Romano-British period in an area that until quite recently had seen relatively little archaeological investigation. Bill has been an archaeologist with Devon County Council since 1991, County Archaeologist since 2013 and an active committee member of the Devon Archaeological Society since 1992. His most recent projects include Rapid Coastal Zone Assessments and the National Mapping (Aerial Photo) Programme. This lecture is a joint DAS and PAS event. Admission will be free of charge for both members and visitors. Archaeologist, writer, educator and TV presenter Julian Richards will shed some light on his long career ‘in ruins’, explaining how an early fascination with old ‘things’ led to a lifetime (50 years so far…) of digging them up. With a behind the scenes look at the world of television archaeology he will offer some insight into such burning questions as why do all (male) archaeologists have beards and why is Stonehenge so big? After a career in field archaeology, including a major study of the Stonehenge landscape, he spent several years as the presenter of TV series such as ‘Meet the Ancestors’ and ‘Blood of the Vikings’ and a number of radio series including ‘Mapping the Town’. 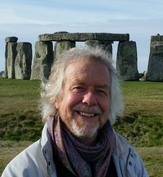 He is the author of a range of publications on Stonehenge, including the current site guide book. 'The Built, The Unbuilt, The Proposed. From the early eighteenth century, the Royal Dockyards saw construction of buildings and engineering works on a huge scale. Many of these survive in the current and former bases, but others are known only from original plans or early photographs or were never built. This talk will explore these, who designed and built them, and will set them in the wider context of naval and industrial history. Jonathan Coad is a historian, archaeologist and a former Inspector of Ancient Monuments. 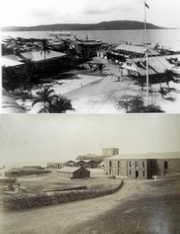 He was initially responsible for identifying and evaluating historic buildings in naval bases and subsequently for advising on their conservation and continued use. He is a vice-President of the Society for Nautical Research and a former President of the Royal Archaeological Institute. This talk will look at a series of community heritage projects running on Dartmoor as part of the ‘Moor than meets the eye’ scheme, these include the restoration of Buckland-in-the-moor’s Ten Commandments Stones monument, the excavation of Vinnimore farmstead deep in the Bovey Valley as well as Throwleigh’s community arts performance ‘Miss Varwell’s Throwleigh’. Emma is Community Heritage Officer for the Dartmoor National Park Authority-led ‘Moor than meets the eye’ scheme. Emma lives in Cornwall and recently developed and led the ‘Reading the Hurlers’ geo-archaeology project on Bodmin Moor. The site of Tell Tinnis, a densely inhabited walled city on an island in the Nile Delta, is one of the most significant river and sea ports of Egypt in the medieval period, matching Alexandria in its importance. John, together with Dr Alison Gascoigne of the University of Southampton and others, has investigated the origins, layout and economy of this unique city during a number of field seasons. John is a Senior Lecturer in Arabic Studies and Islamic Material Culture, at the Institute of Arab & Islamic Studies. His main research interest is in the maritime cultures of the Islamic World, explored through archaeology, historical text and ethnography. Human modification of the land surface for farming, water use, housing, infrastructure etc. has a significant impact on global climate. Understanding changing land use from prehistory onwards is important for assessing just how long humans have had a major impact on climate change, as well as providing better assessments of the potential impacts for future climate change mitigation. Joy is Associate Professor of Palaeoclimatology at the University of Reading and a member of their new Centre for Past Climate Change initiative. Our lectures are held at 7:00 pm in the Devonport Lecture Theatre of the Portland Square Building, University of Plymouth. PAS members, University staff & students are admitted free; all others are welcome but asked to contribute £4 towards our expenses.